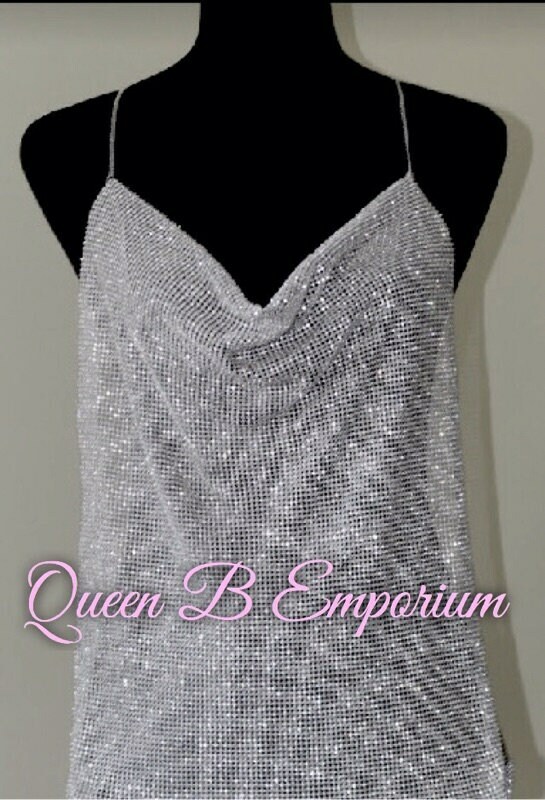 Queen B Emporium gives you this very special Sparkling top for a limited time only. This is a piece you're sure to look your greatest in. 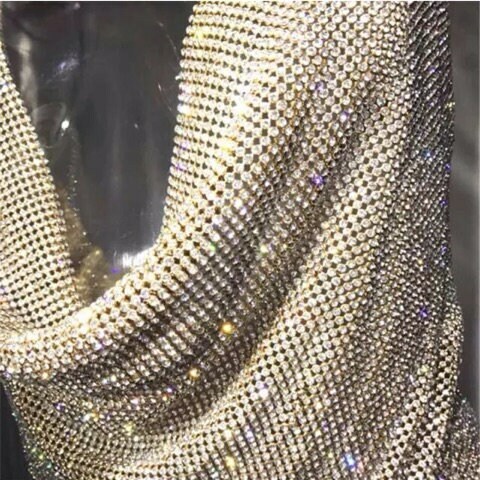 Complete with the highest shining Crystal rhinestones embedded throughout the top, adjustable chain for the neck and back. Every outfit is made with the best quality and our highest customer satisfaction in mind. We price our products to suit your pricing needs, we ensure your outfit is of the highest standards. Any questions or inquiries feel free to contact, I will be pleased to reply in 24 hours or less. Paypal & major credit/debit cards are excepted for payments. Any payments are due upon checking out. I have the right to deny or cancel any persons order or transaction due to negative feedbacks and/or location. I will ship USPS standard shipping for any orders under 1lb (1 pound) and any orders over 1lb will be shipped priority mail unless other is requested. All sales are as is and final, that is why it is important for customers to ask any questions and review pictures and descriptions prior to purchase. If we do happen to process a return we will have to charge a 20% restocking fee, and you will be responsible for your own return shipping, so please be sure to ask us any questions about sizing or the product prior to purchasing. Your package has to have a valid tracking number stating "in transit" within 3 days, and has to arrive no later then 7 days from your delivery date or we can not process your return and your package will be forwarded back to you. Responsibility is expected of us and with all of our costumers, we like to prevent dishonest use of the outfits, only to purposely return after use. Your outfit has to be in New condition and unused upon arrival, or it will be forwarded back to you without refund. Always hand wash your QBE outfit. Please keep your stones and crystals cleaned with a q-tip & warm water or rubbing alcohol. Always keep your outfit hung up in a safe place after use. 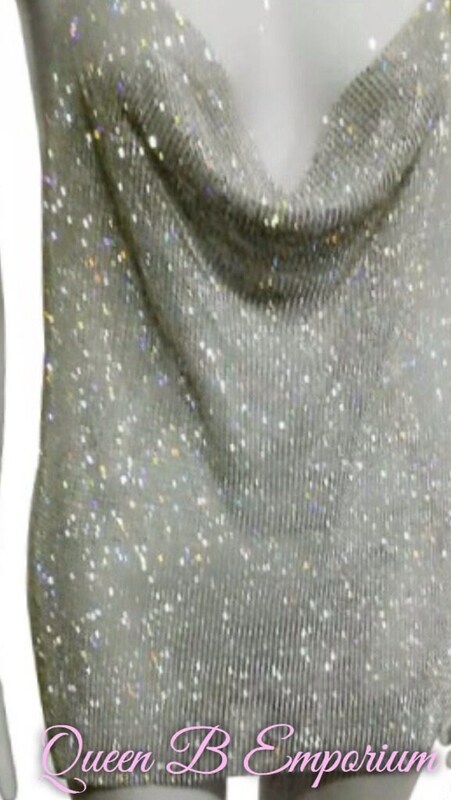 If any Diamond mishaps, please use a light fabric glue or matching thread. Although we might not have every thing listed in our stores, you are always welcome to ask any customizing or similar outfit questions and we are pleased to reply.